At Siena, technology enables us to teach in a multimedia/multisensory format that is highly engaging and well-suited to our students' learning styles. Students have access to assistive technology tools that bolster and expand their academic potential in every classroom. Training students to use these tools to suit their personal learning needs is a central part of our mission. Assistive software is built into every device we provide, and designed to work even on devices used at home -- tools like Text-to-Speech, Speech-to-Text, screen masking, intelligent web page simplification, and screen magnification. The reading curriculum at Siena takes advantage of research-backed software for practicing and reinforcing key reading skills. 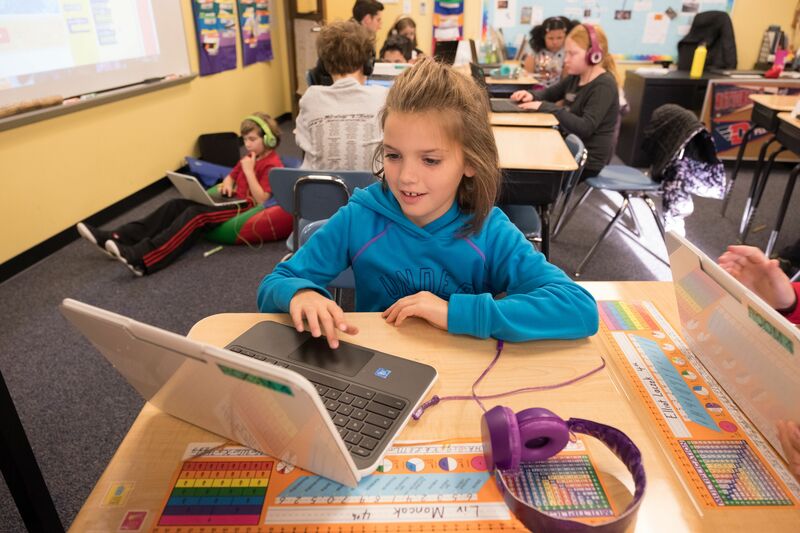 Siena provides school-owned Chromebooks for students to use during the school day, but students can also opt in to bring their own approved device for academic use. Email itdept@thesienaschool.org for more information on our Bring Your Own Device program.